While there are many different components to a book launch, reaching out to book bloggers is a key piece of any book marketing or publicity plan. Reviews on book blogs, book mentions, author interviews, and guest articles are vital to increase exposure for you and your book. Even the most well-written, professionally edited, beautifully designed, and perfectly priced book can languish on Amazon and in bookstores if no one is aware that it exists. But how, exactly, do you reach out to book bloggers in a way that’s likely to net you the requests and results you’re looking for? Do your research (Choose wisely) – Take a look at a reviewer’s blog before you pitch them. Do they review books in your category? Have they specifically mentioned that they do NOT review books in your category? Show the blogger that you’ve done your due diligence and have taken the time to read their blog, check out the types of books they review and that you are pitching them for a reason and not just because they are on a list that you have handy. Personalize your pitch – Mass emails and general inquiries rarely work well. Personalize your pitch. Address it to the blogger directly by name. Mention why you are pitching the blogger, and asking them to take a look at your book. Much like a cover letter or a book query to an agent or publisher, being personal and professional with your pitch to a blogger is important. Request a review (But don’t require one) – Just announcing the release of your book isn’t likely to get the response you’re looking for. You really want to offer the blogger an opportunity to request a copy of your book for review. And yes, you’re offering your book for free in exchange for consideration of a review. Understand that if and when a blogger requests your book, it really is in exchange for the possibility of a review. There are likely no guarantees that a blogger or reviewer will review your book (some exceptions may apply). Don’t demand or require a review. Simply ask the blogger if they would like a complimentary copy of your book to consider for review. Offer different formats – If your book is available in both print and eBook formats, let the book blogger know. Some bloggers and reviewers only review print. Others prefer eBooks. Let the blogger/reviewer know what formats you have available and are willing to send. Provide options outside of a review – Book bloggers and book reviewers are busy. And, they are inundated with requests from traditional publishers, publicity companies, marketing firms, indie presses, and authors. That’s a whole lot of people and books vying for their attention. That being the case, sometimes bloggers and reviewers have a huge backlog and don’t have time to review a book. When you send your initial pitch, be sure to let the blogger know that you are available (if you are) to provide a guest post or participate in an interview in lieu of a review. In general, book bloggers and reviewers do want to support authors—that’s why they do what they do! Even if they are too busy to read and review your book, they may post a guest article written by you. You can provide a 3- to 4-sentence bio with your post and include your cover, and most bloggers will run those along with a link to the book if/when they use your guest post. Be Professional and Polite – Remember that you are essentially asking for a favor when you pitch a book blogger for review. You are asking for someone to take the time to read your book and also to write a review of your book. Both of these things take time. This is why it’s so key to do your research, personalize your pitch and be polite and professional with your query. Check your query carefully for typos, only pitch bloggers with an interest in your book’s category, and always, always be professional and polite in your inquiry! Follow up (But don’t be a pest) – Once a blogger responds and requests a copy for review, try to get that out to them in a timely manner. 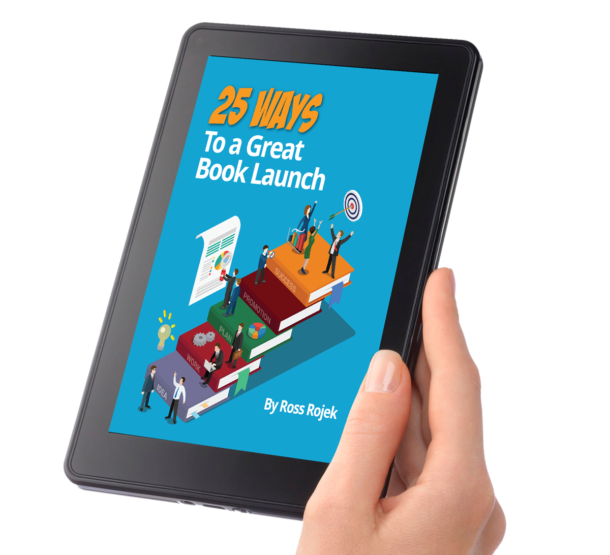 If it’s an eBook, that can be as easy as an email or a gifted eBook. If it’s a print book, it’s likely to take a few days. Keep in mind, if you use media mail, that it can take much longer than First Class or Priority Mail. This is important when you time your follow up. It’s perfectly appropriate to follow up with a blogger to confirm that they have received your book. Let them know that you’re looking forward to their feedback. Thank them for their consideration. Let it go. This is a real tough one for some authors. You have to give bloggers and reviewers time. Following up a month later is fine. However, bugging or badgering a blogger for a review is likely to get your book moved down the review pile—or rejected altogether. ALWAYS say “Thank you” – Let’s face it, some bloggers will love your book. Some won’t. Some will review it well. Some might review it poorly. Some might decline to review it at all. It happens and the best advice I can give an author is to say thank you—no matter what. Sometimes you need a review to get started – Getting a pre-release review or an early review from a reputable paid service, like City Book Review, Kirkus, or Foreword, can give you something to show other potential reviewers why they might enjoy your book. Book bloggers and reviewers should be a big part of your marketing plan. Being smart about how you pitch them will increase your chances of getting a response, getting books out the door to reviewers and, ultimately, securing those vital reviews and mentions online. 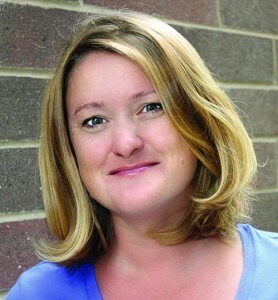 BETHANY BROWN is the President of The Cadence Group, a design, editorial, marketing and book coaching provider to the publishing industry. With a background in traditional publishing by way of Adams Media and Sourcebooks and close to a decade of working directly with authors and small presses, Bethany understands the challenges (and benefits!) facing self-publishers and indie presses today. She lives just outside of Chicago with her husband Steve and her dog, Popeye.